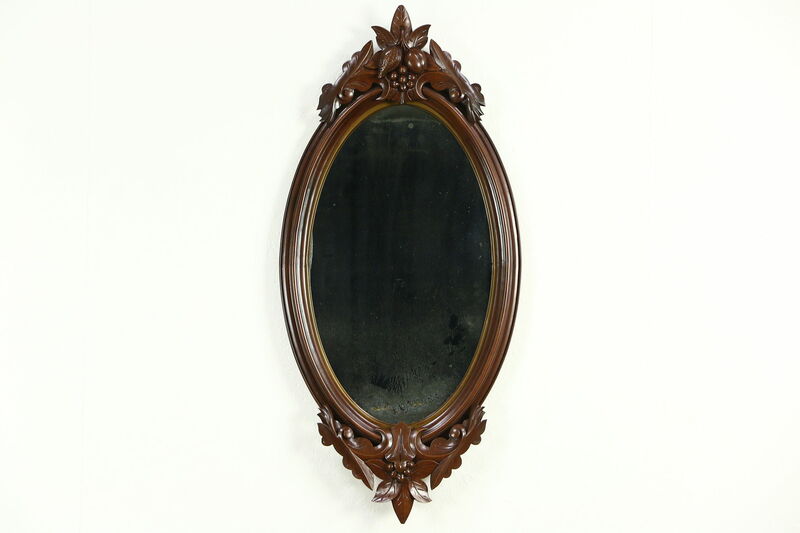 A Victorian period oval wall mirror was hand carved of solid walnut about 1860 with sculptured walnut leaves, fruit and nuts. The restored finish is in excellent condition on this American made antique. Original glass has lots of authentic "smoke" to show its age, and could be replaced if this is not charming. Size is 23" wide, 41" tall and 3" deep.